You would normally think that cruises with dinner would be pretty expensive. Well this one was not too bad at all - after the 15% off it worked out at around £25 each. We are off to Zagreb tomorrow and I think it's safe to say that Budapest has been our favourite stop so far! 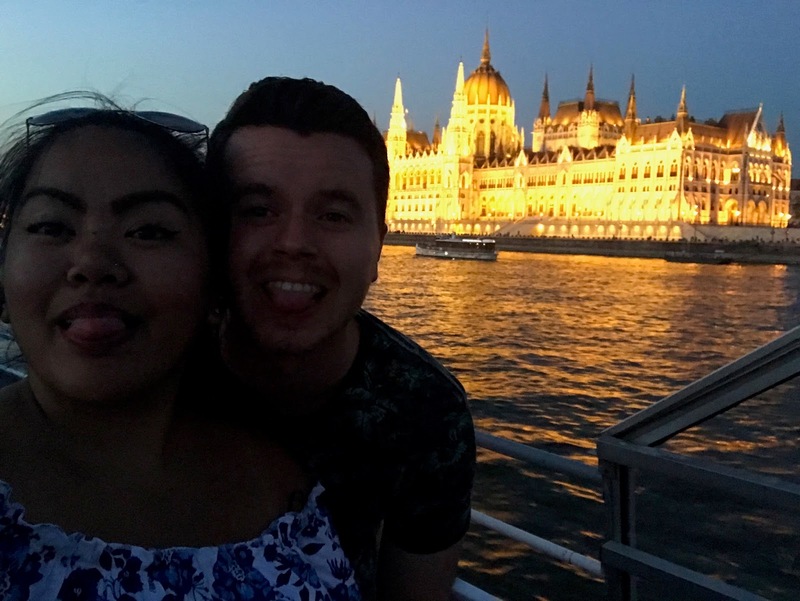 I've loved everything you have posted about Budapest it sounds so amazing and looks like such an incredible place to visit!! I love the idea of the dinner cruise you captured some beautiful moments!! Honestly the best country! We'd love to come back and tell everyone to go and visit! It was the best way to end our trip there and the memorial was a great way to express the memory! You so should, you deserve it too! Are the shoes of the Danube like an art installation, or are they simply just shoes that people have abandoned haha? I'm so intrigued to find out about them! Jessica you look gorgeous in that floral dress in the last pic, suits you so well! £25 each for the dinner and a cruise seems great value to me! It's a memorial for the Jews who were forced to take off there shoes before getting shot into the Danube! Crazy but a great thought provoking piece! Thank you so much, so lovely of you to say! You two are so gorgeous! 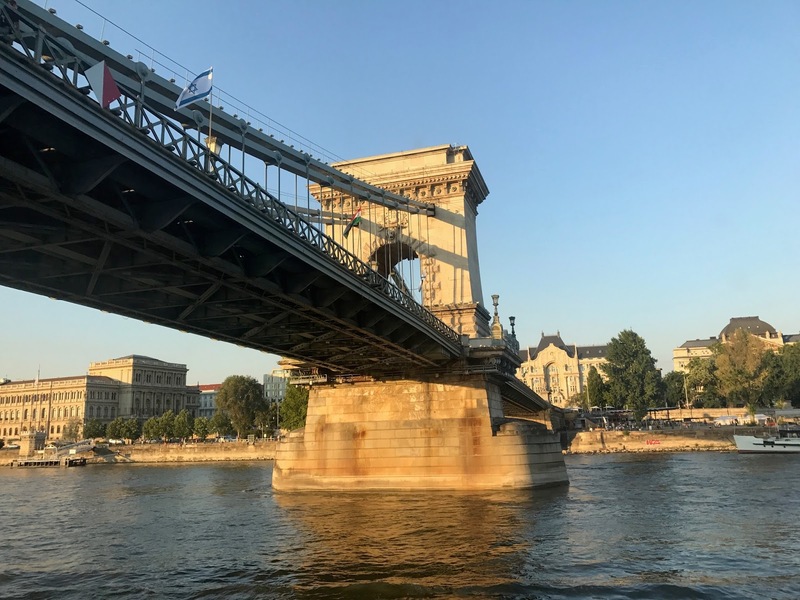 I've heard so much about the evening cruises around Budapest and I've always wanted to see their houses of parliament - I can imagine that the pictures don't do it justice! I'm so glad you're having such a lovely time. We'd highly recommend the evening cruise to see everything lit up at night! Amazing! Hahaha! It's stunning, we'd so recommend Budapest to be your next destination! It's a great memorial! You should visit if you ever go back! It's a great must see memorial!